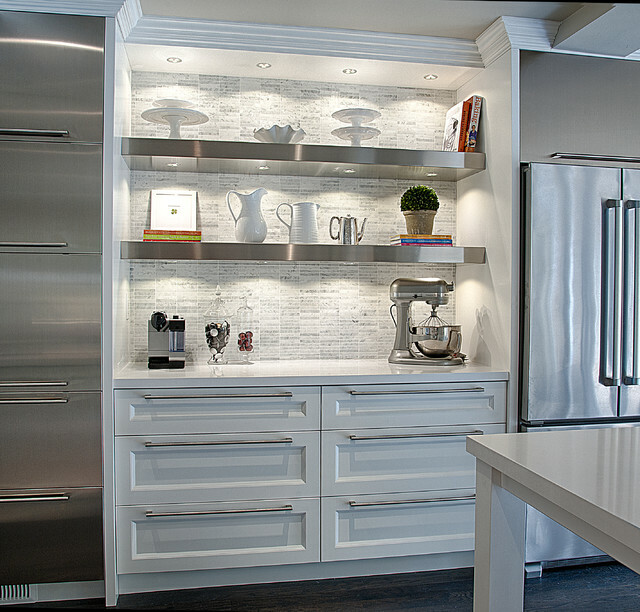 What is manufacturer and style name of the backsplash? Baking center, but with closed upper cabinets. Enough working space to place ingredients for measuring. Maybe small sink on the right. Cost of plumbing? Pantry for flour and sugars. Upper cabinets for baking dishes. Drawers for measuring cups. Maybe small garbage for eggshells, etc. Task lighting.